What is the pH of the solution? I also know that this is true when the hydrolysis constant is smaller than 1. Therefore I cannot use if for this problem. So I am stuck over here. I don't know whether this observation is correct. Even if it is correct, I am not sure whether it be used to solve the problem. 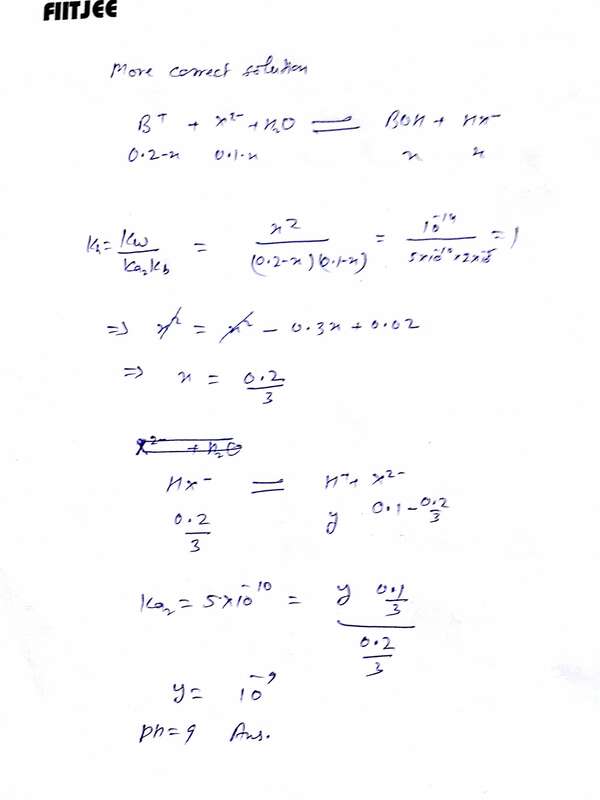 I am posting a solution image regarding same question. 2nd hydrolysis of X2- is neglected as you did. important thing is degree of hydrolysis is not small and should not neglected. Not the answer you're looking for? Browse other questions tagged acid-base equilibrium kinetics ph or ask your own question. Percentage error. How to find percentage error? Why is the hydrolysis of the conjugate base of a weak acid neglected in buffer solutions?